Dallas FHA Loan Pros: Dallas FHA Loan Pros Joined Storeboard! 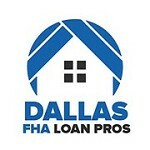 Dallas FHA Loan Pros is the leading expert in FHA loans and mortgages in Dallas, TX. We're here to walk you through the home buying or refinancing process. 3554 Vinecrest Dr, Dallas, TX, 75229. 214-810-9869.